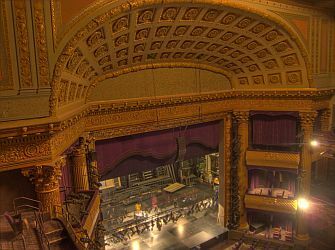 American Conservatory Theatre (A.C.T.) - San Francisco. Also see blog, calendar and ticket office. counterPULSE - San Francisco performance art space rental and support for emerging artists. Dark Room, The - San Francisco. one-stop shop for comedy, theater, events, entertainment, rehearsal space and recording studio facilities. Hubba Hubba Revue - San Francisco. A mix of irreverent comedy, classic striptease and circus and variety act, Hubba Hubba Revue is the creation of several veterans of Bay Area nightlife, and offers a unique and highly entertaining alternative to the usual bar and nightclub scene. Rotating venues. Shelton Theatre - San Francisco. Also provides acting classes at Shelton Studios. This webpage last updated on Monday, January 21, 2019 12:55 PM.